Di San Xian (地三鲜) is one of my favorite dishes. And it belongs to northeastern Chinese cuisine. 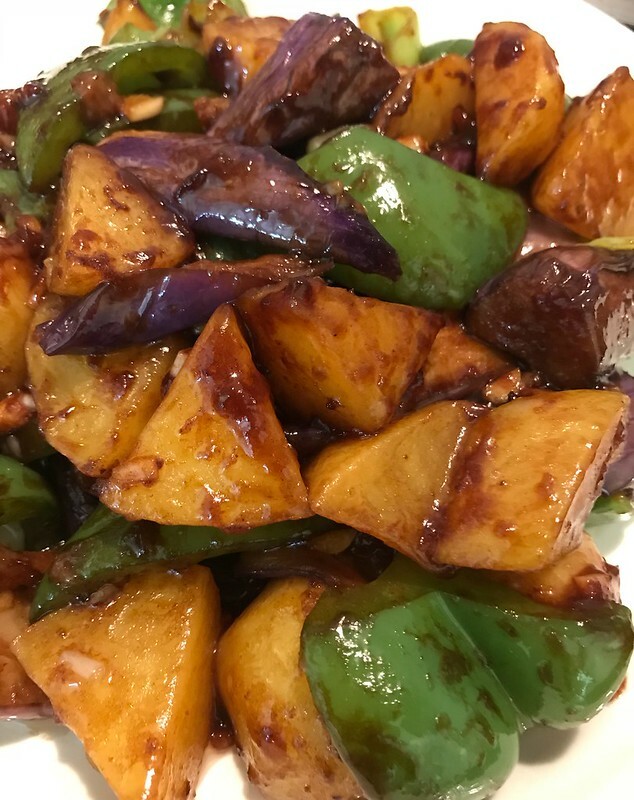 Main ingredients of this dish are three vegetables: eggplant, potato and green pepper. 1. 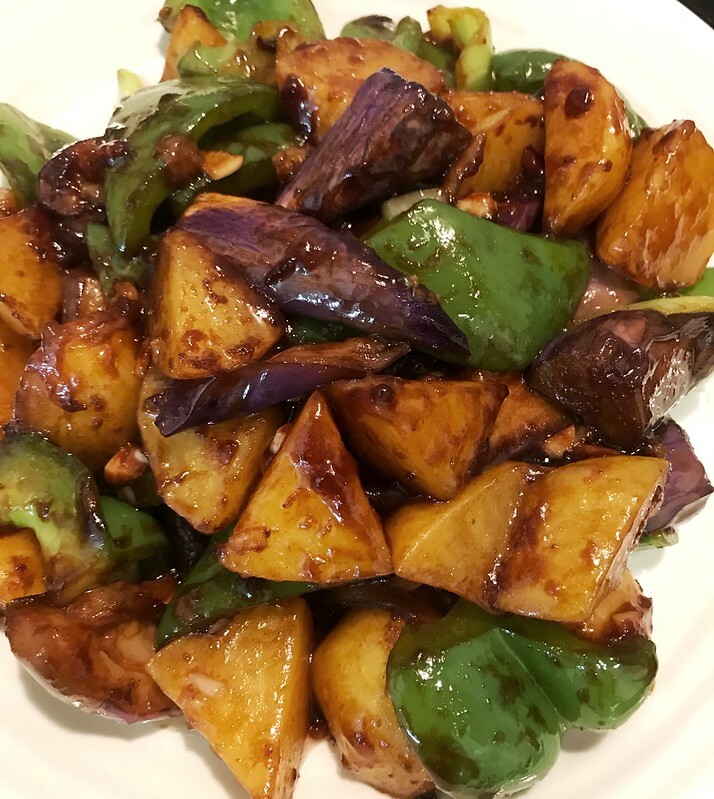 Cut eggplant, potato and pepper into medium chunks. 2. Heat oil in a deep pot. Fry potato till golden brown on the edge. Dish them out. Fry eggplant till soft and brownish. Dish out and fry pepper for 30 seconds. 3. Heat a pan. Add in 1 tsp oil. Sauté chopped garlic and ginger till aromatic. 4. Put all fried vegetables in the pan. Stir fry evenly. 5. Add in 2 tsp light soy sauce, 1/2 tsp dark soy sauce, 2 tsp sugar and 1 tsp salt. Stir fry evenly. 6. At last, pour in corn starch water. Mix evenly and serve hot.